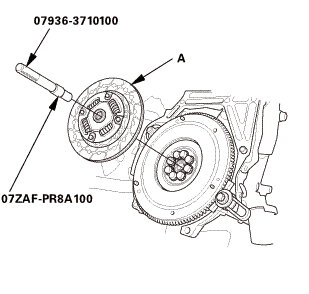 Inspect the lining of the clutch disc for signs of slipping or oil. 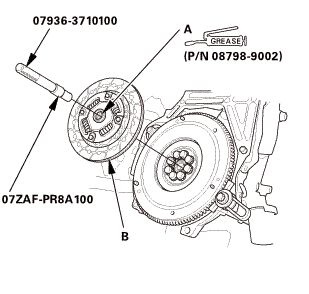 If the clutch disc looks burnt or is oil soaked, replace the clutch disc and the pressure plate as a set. 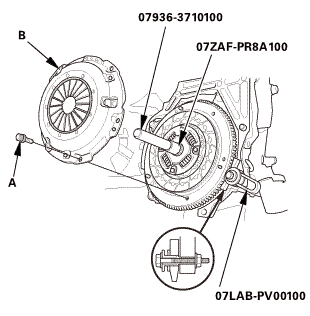 If the clutch disc is oil soaked, find and repair the source of the oil leak. 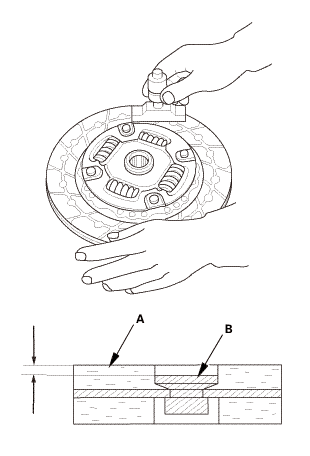 Measure the clutch disc thickness. 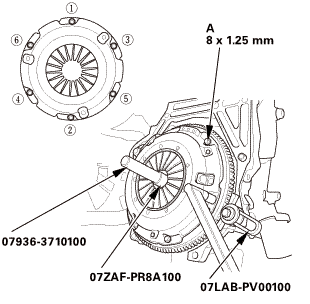 If the measurement is less than the service limit, replace the clutch disc. 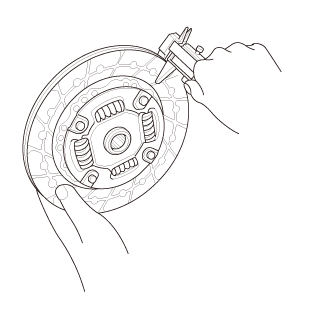 Measure the depths of the rivets from the clutch disc lining surface (A) to the rivets (B) on both sides. 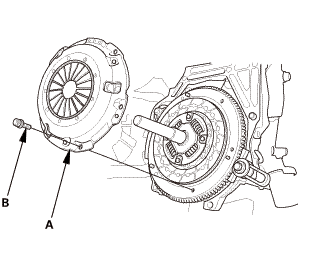 If the measurement is less than the service limit, replace the clutch disc.